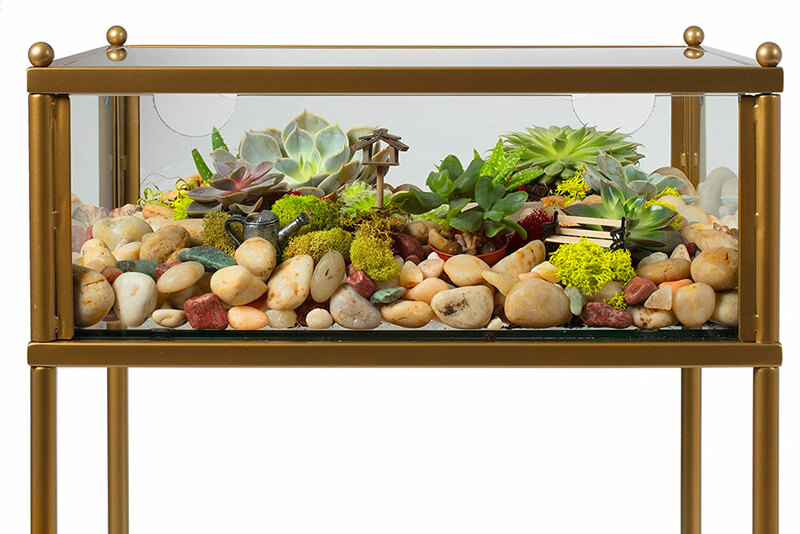 Show off your succulent and cactus collection right alongside your collection of remote controls with this terrarium display end table. 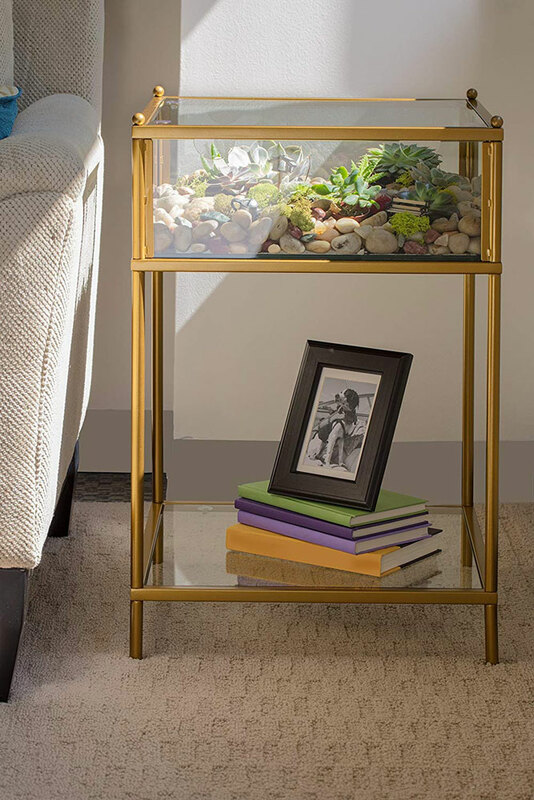 It's a simple piece of furniture you can keep minimalist in style with the addition of a layer of rocks or glass pebbles (or nothing) or use to create a desert oasis in your living room with a showcase of lowlight houseplants. 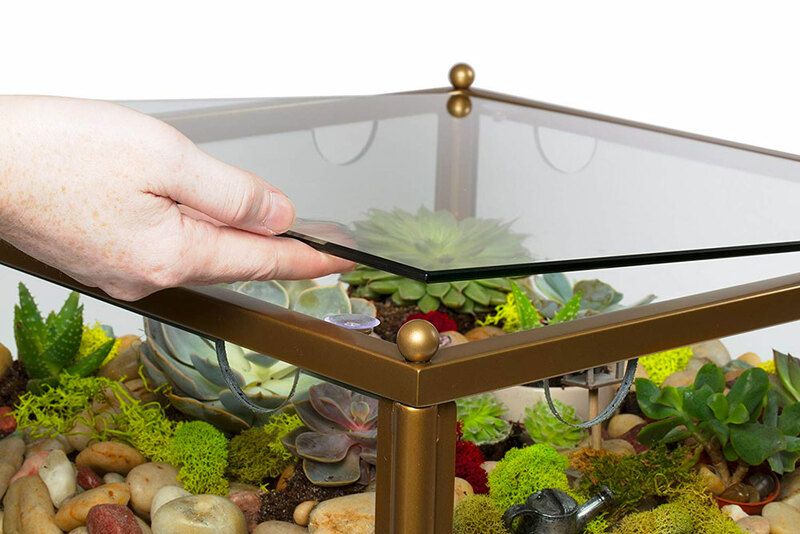 The terrarium table's glass top lifts off for access to the 18" x 18" shelf when you want to build your display, and 8 semi-circular cutouts around the enclosure provide fresh air for the plants inside. 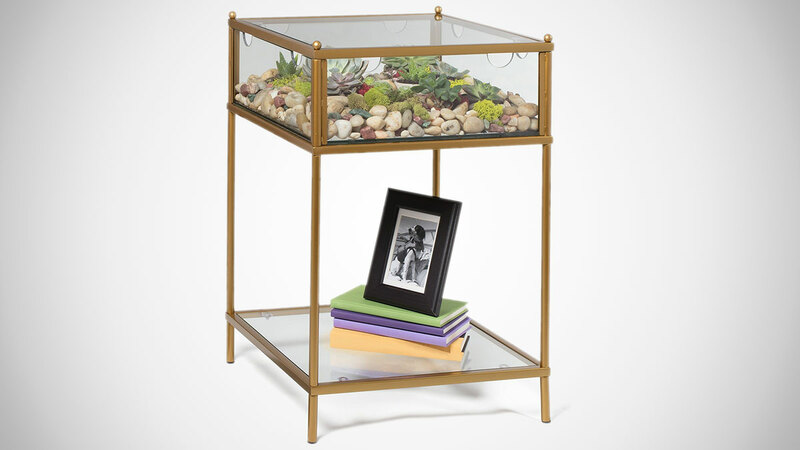 Choose the right succulents, air plants, and cacti for your diorama and you can probably poke something like this brass plant mister through the terrarium table holes to water them too.